"I'm thoroughly looking forward to working with all players." - Langer. The ball-tampering saga involving three Australian cricketers shook the cricket world, especially the Australian cricket. Head coach Darren Lehmann following the incident which was a bolt on the Australian cricket resigned from his position of head coach. The Australian captain Steve Smith and vice-captain David Warner were banned by the Australian board along with Cameron Bancroft. 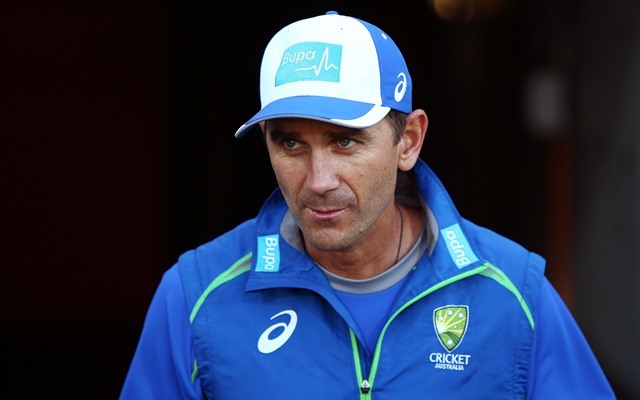 However, Cricket Australia has named former Australia opener Justin Langer as the head coach of the national side where his first assignment will be the limited over series against England in England where Australia play 5 ODIs and one-off T20I. James Sutherland, Cricket Australia chief in a media briefing made the announcement and suggested that Langer was the “clear standout” choice. He revealed that after considering several worthy candidates, the board felt that Langer was the best choice provided the coaching experience the left-handed Langer boasts. “The plan has allowed us to consider several worthy candidates, but Justin was the clear standout, particularly based on his recent coaching and player development achievements,” Sutherland told the press. Notably, Langer has worked with the national side as an assistant coach for 3 years starting from 2009. He then took charge as the head coach of Western Australia and Big Bash League side Perth Scorchers. Langer thanked the Western Australia Cricket Association and Perth Scorchers for supporting him and giving him the opportunity to work with the two great teams. Langer also extended his thanks to his family members who supported him in making the decision. Langer felt that there will a number of challenges in front of the side but he suggested that the team is full of talented players who will make Australia proud. “There will be some significant challenges ahead for our group, but there is a wealth of talent in Australian cricket that I know will do us all proud,” said Langer. “I’m thoroughly looking forward to working with all players, as we strive for a successful men’s team across all formats, with the support and respect of the Australian public,” he added.